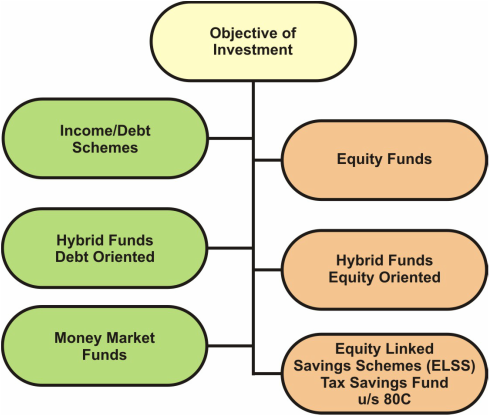 Mutual funds are a mechanism for pooling the resources of different investors & investing the collected funds in accordance with specific objectives, in securities so as to realise the investment objective. The investment objective is based largely upon the investors’ capacity to take risk. The profits or / losses are shared by the investors in proportion to their investments. The mutual funds normally come out with a number of schemes with different investment objectives which are launched from time to time.